Surfers in the eighth stop on the World Surf League (WSL) have to surf two lefts and two rights tomorrow, and the top eight go through to the final, while the top four go through for the women. 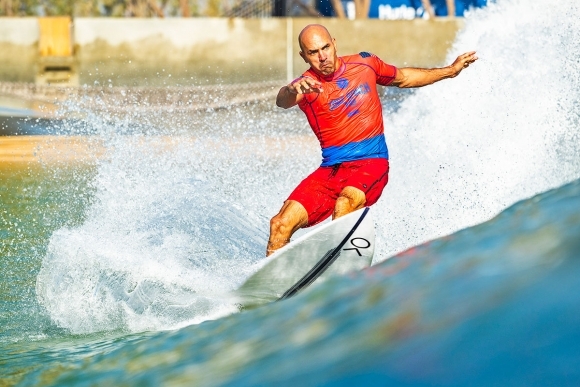 The competition today and tomorrow at Lemoore, California, host the Qualifying Rounds, where each surfer will surf four waves each (two rights and two lefts). On Saturday, all competitors will have one last chance to make the Final with two more waves (one right and one left). Event wildcard Bethany Hamilton (HAW), injury replacement Macy Callaghan (AUS), and Paige Hareb (NZL) got opening round action underway as Hareb’s backhand attack shined to earn a 13.00 heat total and the outright lead -- but only briefly after Sage Erickson’s (USA) debut. The Ojai, California, native stepped up and delivered on her second right to earn a solid 14.07 heat total heading into the weekend’s third run. WSL forecaster Surfline is calling for ... oh no wait. Sorry. No need.